Gorgeous Contemporary-style house for sale in Land O' Lakes! 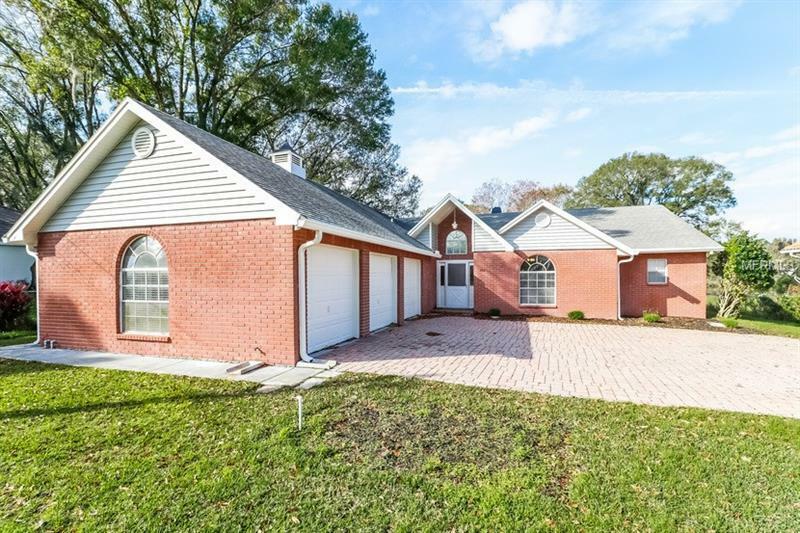 This house features brick and vinyl-siding construction, an attached 3 car garage, a wide-open layout, an oversized living room with a wood-burning fireplace, and a formal dining room. The kitchen has solid-wood cabinets, GE stainless-steel appliances, granite countertops, and a breakfast bar. The family room has built-in country features and a bay window. Master bath has dual vanity sinks on solid-surface countertops as well as a separate shower and tub. The covered porch offers great views and lets in plenty of natural light. Come by and check out this property today!